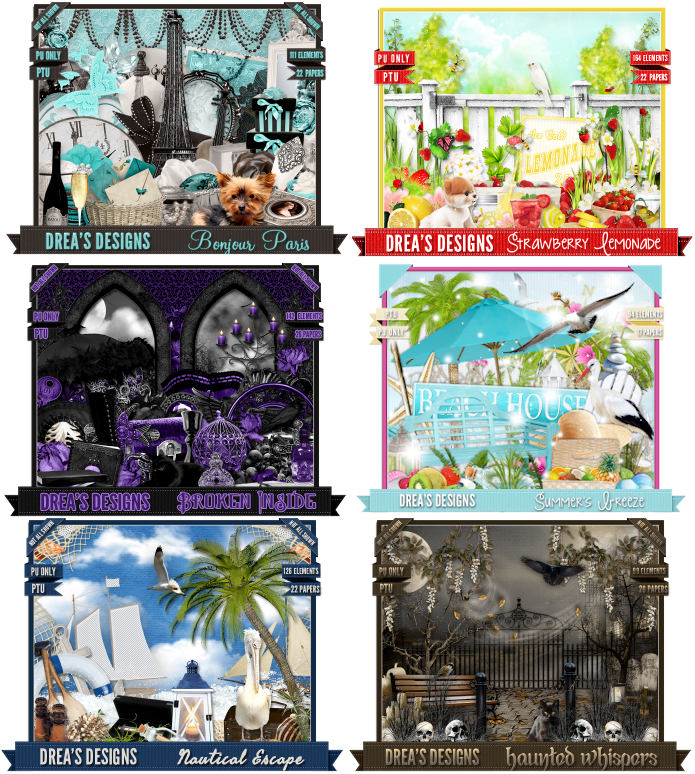 I'm doing a CT call for the awesome Creative Team i'm a member of, Drea's Designs. Are you a tagger and/or tut writer looking for a new team to join? Are you curious, and wanting to join a team but too nervous to do so? Drea's Designs is a brilliant team to be on. Super friendly members and awesome kits, that are easy and fun to work with. All kits contain many many fun elements, that leave the imagination running wild. And can be used many times over. then send an email to Drea's Designs by clicking HERE. Below is a small preview of some of the kits available to work with. 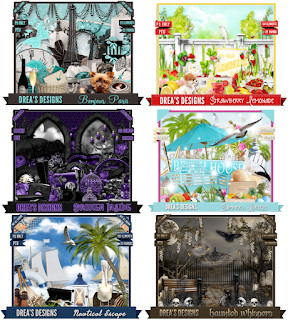 Click HERE to visit Drea's Designs to see all kits, tags made with her kits and more. You can also scroll through my blog to see what tags i have made with her kits.